So, a word of warning this January. Avoid being seduced by the SALE’s and buying what appears to be a great deal because it’s on sale. You’ll probably end up with something you didn’t necessarily need or want in the first place. Yes, it’s that time of year whenever we switch on the TV, open a newspaper or drive by the local shops we see SALES messages everywhere! But isn’t it funny when we see the word SALE usually in white capital letters emblazoned across a red background we think DISCOUNT! So, let’s agree that when we see the word SALE we think DISCOUNT and I’m sure if you are anything like me we all like to feel we got a great deal, something cheaper than it is currently on sale for. But again, if you are anything like me, I am also suspicious whether the prices were hiked prior to the SALE in order to have the SALE – still with me? Ask yourself… are modern retailers so bad at procurement and stock management that at the end of each season/year they have so much surplus stock to get rid of and need to liquidate it quickly into cash, so they launch a SALE. Is it any wonder that shoppers do become a little suspicious of genuine discounted goods when you can predict when retailers will be holding their sales – January being a fine example. Where you can buy a 3 seater sofa for just £389 – WOW! That seems a very keen price. But is it really the one you want? Yes, it’s a lovely sofa, but only if it was in a different colour to match the décor of your lounge. Ha! And that’s where it happens, the retailer now has you in their grasp. Looking and searching around the rest of the shop looking for something more suitable, There is a good chance you’ll leave the store spending more that you wanted for a sofa you didn’t REALLY need. Come on, be honest I think we’ve all be seduced by a SALE at one time or another, I know I have. A well know Kitchen retailer offering advertising in glossy magazines. Flicking through a glossy lifestyle magazine over Christmas I came across a lovely picture of a kitchen spreading across the two pages, clearly a showroom kitchen, one that has never been cooked or lived it – it was immaculate, stunning. But hey I love this business, I’m bound to get excited. And I can have this immaculate kitchen for a special SALE price of £4,766, well that sounds affordable and my kitchen is nowhere near the size of the one in the picture so I could probably get it for half that! Until I read… that even though the picture clearly show’s worktops, appliances, a double range, full height wine cooler, sink and taps… the small print states that none of these are included. I don’t know about you, a kitchen with no worktops or a sink – is ridiculous right? I consider those elements pretty essential in a kitchen – so why are they not include in the price? Doubt starts to set in that I will be able to get the kitchen I want for the price advertised. Because I need a sink and oven in my kitchen. I also noticed that not only was the kitchen Half Price it also had an extra 25% Off – WOW! That would have made that kitchen nearly £12,000 to start off with – I couldn’t help but to ask myself how they could give sooo much discount? So why is it, retailers consistently use SALE’s as a marketing tool? I believe the main reason is that retailers need a hook, something attractive to grab your attention, get you in their store so that they can sell you something, anything and more often than not, more than the something you came in for. So, when you are out shopping are you really in control of your wallet or is the retailer? Are you buying or are you being sold to? Same can be applied when looking for a new kitchen, the difference of buying a kitchen -verses- being sold a kitchen. So, how do you get the kitchen you want for the price you want? How would you feel if you could have your very own personal kitchen shopper who starts with YOU! Your ideas, your budget and not try and sell you the SALE model. This personal Kitchen shopper will know the ranges and options inside out and will guide you through the choices available, adapting the options to suit your budget as they go. They will ensure you have the choice to spend a little more or a little less. Well, that’s exactly what you get with a K2 Kitchen Designer who will work (not sell) with you to get the kitchen you REALLY want within the budget you have. 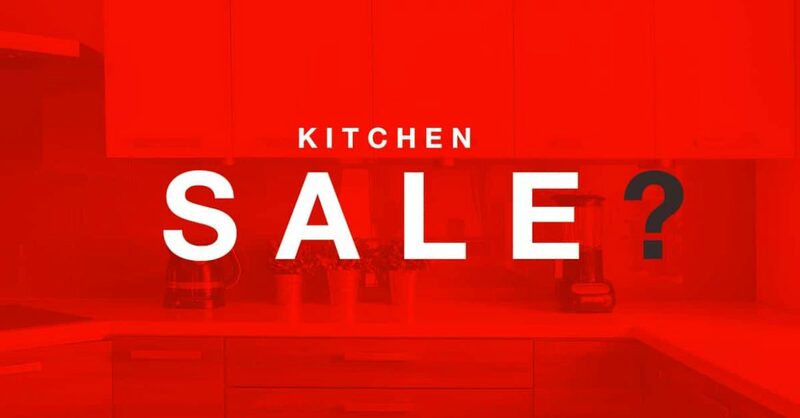 Here at K2 we pride ourselves not having to ‘DO SALES’, our kitchens are competitively priced in the first place, just simple, consistent everyday prices. Why not start here, with this FREE Kitchen Wish List Worksheet – download here. Ready to buy a kitchen and not be sold a kitchen? Want to have a quick chat with a designer/personal kitchen shopper? Or arrange a home visit? Call Corrie or Izzy today on 01843 825 613 or get a callback here.